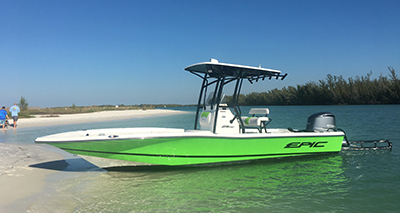 Our 24-foot Hurricane deck boats and 24-foot Everglades Center Consoles are ideal for a luxurious day out on the water. Specializing in trips out in the Gulf and in the Ten Thousand Island Wildlife Refuge, our knowledgeable captains also lead eco-tours, casual cruises with the family and leisure trips through the bay. We also offer Sunset Charter cruises with one of our captains taking you out on the water to enjoy a beautiful sunset over the Gulf of Mexico! We can adapt to any customer's special requests and part of what makes us so special is our ability to please everybody. Don't miss out on this golden opportunity to splash your way through the waters of Naples and Marco Island! 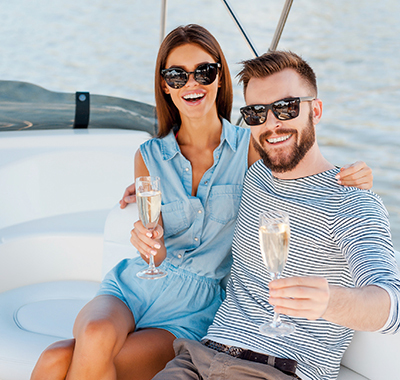 Book your South Florida Luxury charter cruise today! The Island Dreamer Vessel is a private 35ft triton with captain chairs and couch seating throughout. Offering Half day cruises, full day cruises, 2-hour cruises, sunset cruises the vessel will carry up to 16 passengers. The cruises take you through Naples Bay, Port Royal and Gordon Pass/Gulf of Mexico, Keewaydin Beach, Isle of Capri for lunch and many more options depending on your wants. Throughout the cruises we look for dolphins, manatees, ospreys, eagles, and many different species of birds, boars, deer and wildlife throughout your excursion. Bring your own food and beverages! Captain Joey D Charters, offers fishing charters for half day or full day, Backwater, Near shore and/or Offshore Charters. Joey D provides all the bait, tackle, fishing gear, fishing license, and cooler with ice and water.